Wonderful antique French clock by Richard & co. Product code: ES1380 Categories: Sold Items, Sold Watches. 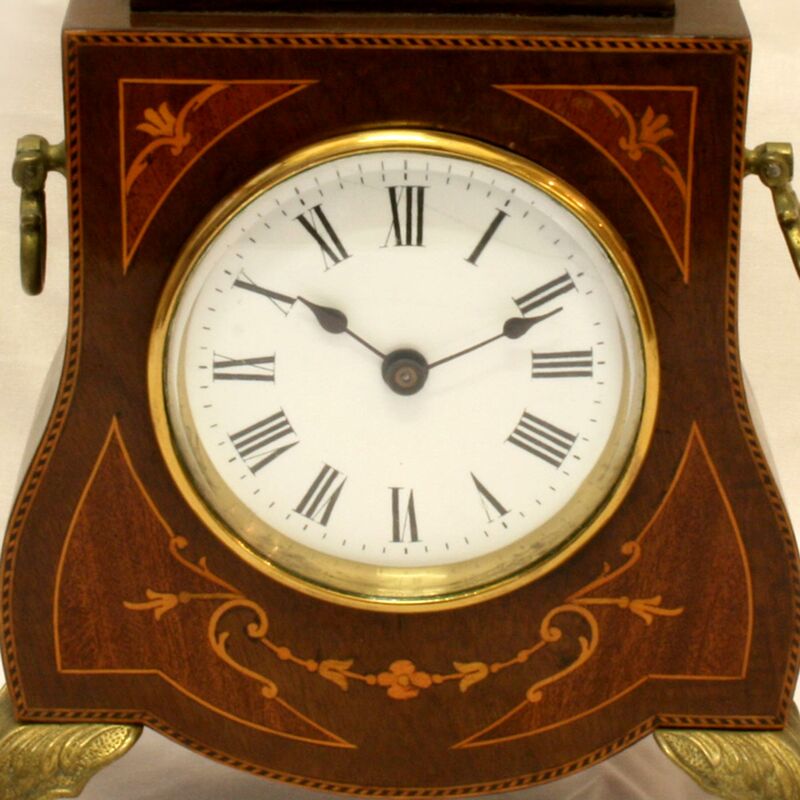 This is a wonderful antique clock made in France in the late 19th Century that will sit so well in any room. The timber case has such a beautiful inlay that is all in wonderful condition over 100 years later. 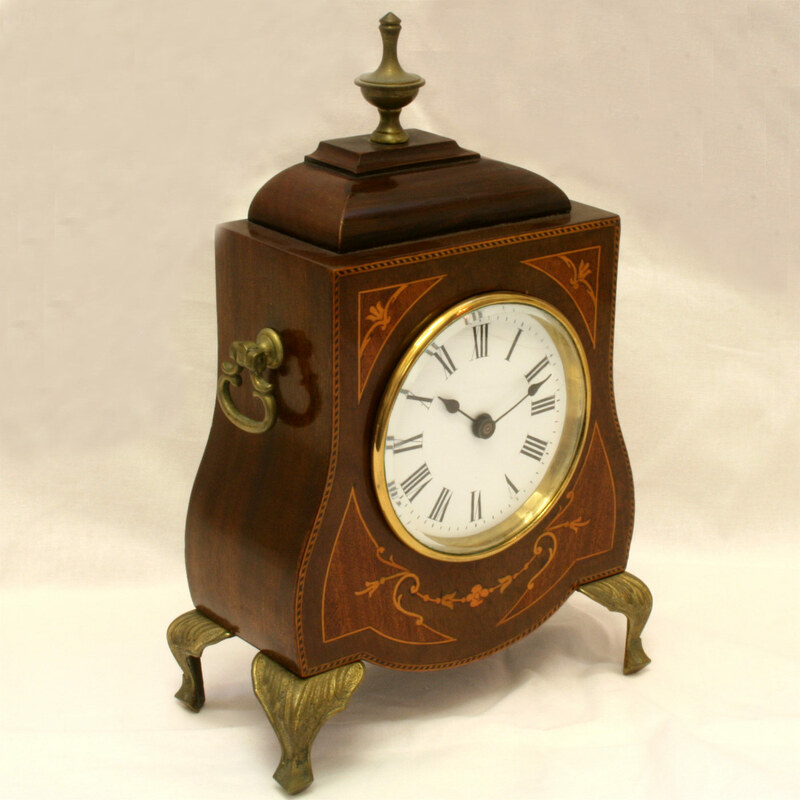 Measuring 17cm high by 25cm wide and 9cm deep, the clock has such an attractive design. 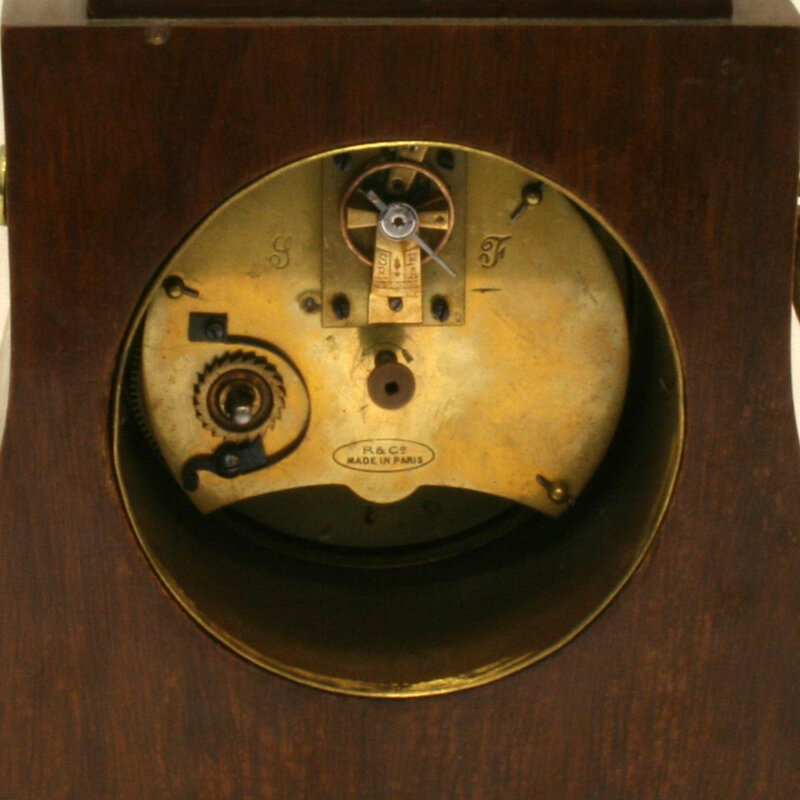 Inside is an 8 day movement by the French company Richard et cie, and this clock has been serviced and runs perfectly. This antique French clock would make a wonderful addition to any room in the house.